The Road To Nowhere- the 'Tan' in Tankerton. If you walk the 3/4 of a mile out to the seaward-end of The Street (at low-tide obviously) and turn around to face the land, you are now facing due-south. If you take out the compass you always carry with you and check it, you will notice that The Street is aligned exactly along the north-south axis. And from where you are standing it is- undeviatingly along that north-south bearing- exactly seven miles to the grounds of the ruined St Augustine's Abbey, in Canterbury. That seven-mile journey from Tankerton Street end to St Augustine's Abbey goes via The Castle, St Vincent's and St Mary's, All Saints Church, seven massive Tumuli in Clowes Woods, a series of wells and standing stones plus two chapels (all directly in alignment) at Tyler Hill, St Stephens Church (near Ye Olde Beverlie), St John's Hospital in Northgate, and finally, three long-forgotten Bronze-Age Standing Stones in St Augustine's Abbey. I've drawn white lines and stuff all-over the Google Earth image below, and marked the above named locations on it. Whether you want to call this a ley-line or merely an alignment matters not, what cannot be denied is the remarkable coincidence that The Street, apparently an entirely natural phenomenon, should just happen to line up perfectly with these man-made and natural objects- hereafter called the landscape-furniture- AND along the magnetic lines of force, to boot. 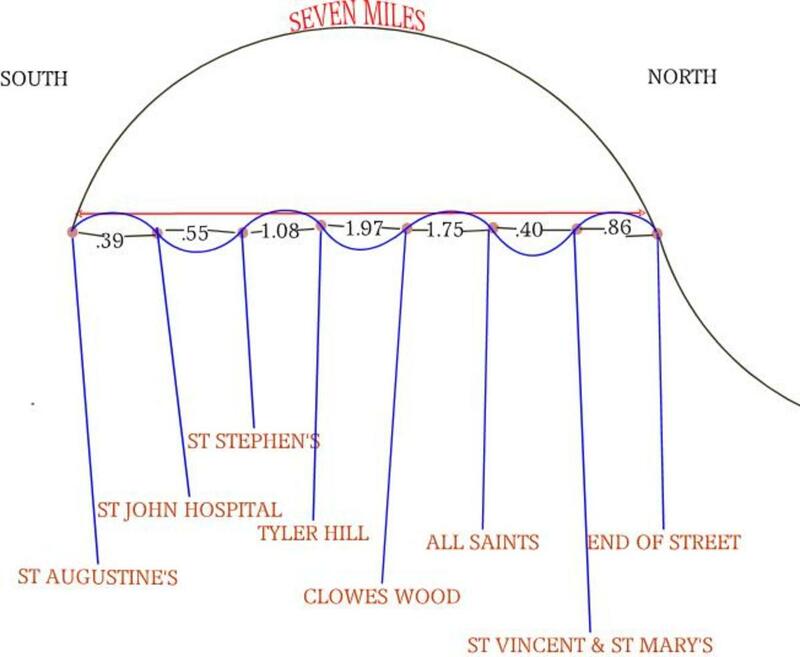 I also think it noteworthy that the roughly 3/4 of-a-mile length of The Street extends the length of the line from the numerologically irrelevant and insignificant 6 1/4 miles (almost exactly) to the highly significant number of 7. It's significant because this number seven is considered sacred or magical by virtually every culture on the face of the earth- 7 days in the week, 7 days to create and complete the entire universe, seven colours in a rainbow, seven musical notes between the octave, seven continents, seven seas, seven wonders of the world- you know the stuff. To take this a little further- seven miles further, to be exact- from the seven mile spot at the far-end of The Street, if you spin-around to face out to sea, you'll notice out there on the horizon the oil-rig-like Maunsell Sea-Forts, gun-platforms floated into-place and then 'scuttled,' onto their pontoon bases durng the second-World-War to defend the Thames, Medway and Swale Estuaries, from certain.. unfriendly Europeans. These rusting hulks have been occupied, on-and-off, by a variety of eccentric types ever since the war ended, but especially during the nineteen-sixties when one or two of them became pirate radio stations. Recently, a local artist, Stephen Turner, spent six weeks alone on one of the forts to see if he, like many of the marines formerly stationed here, would go bonkers. He did, but in an artistic, creative way. But we digress... guess how far out to sea the forts are? And how many platforms were there originally? Seven of them- laid out in a distinct '7' shaped formation. And each fort consists of seven towers. 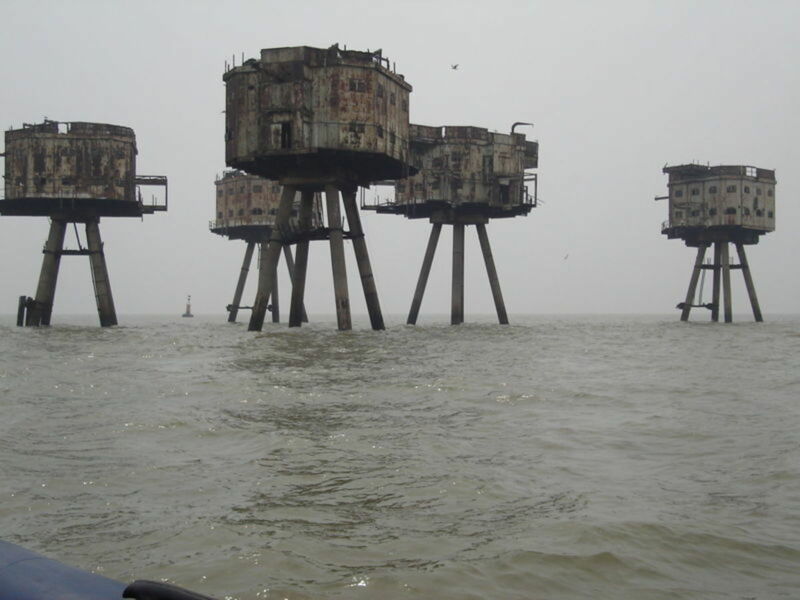 And from these Maunsell Forts it is seven miles to the far side of the estuary, Shoeburyness. I don't know about you, but I'm seeing a pattern here. 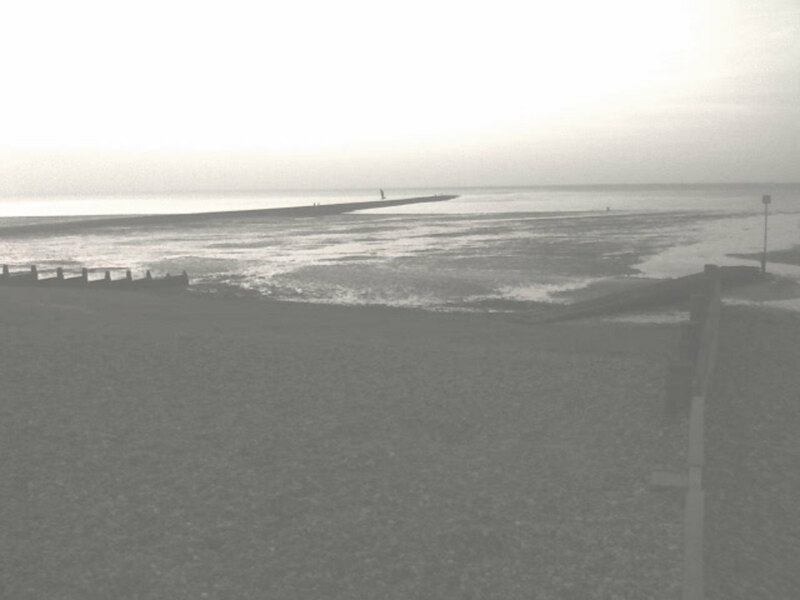 A most-excellent spot in all the world to tune in and resonate with the landscape is at Tankerton Bay, at the far-end of The Street. Especially in the dead-of-night beneath the stars and crescent moon. Out there at the end of the road on a gash of dry pebbles, totally engulfed in silent space and very aware of the endless sea-of-night; you seem to hover in the midst of the awesome, overwhelming darkness and silence, a slightly terrifying yet lullingly peaceful experience- you can- if you're brave enough- really feel the power to which I allude in the title of this first piece. For The Street is what the ancient occupiers of this land, the ancestors, thought of as 'the road-of-the-dead,' and it represented- it actually is and functions as- a landscape-sized tuning-fork or magic-wand! This is more explicitly revealed by toponomy- the study of place-names. 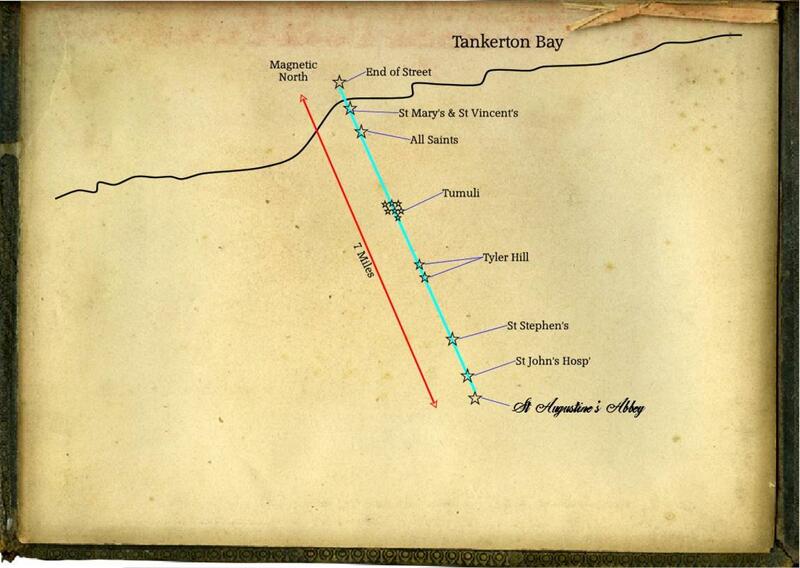 Tankerton is an innocuous sounding name- but meaningless in modern usage- where are the tanks? What does it mean? Tankerton is in fact two Anglo-Saxon words welded together: 'tan" and 'ceart.' To take the second word, 'ceart,' first, the modern form of which is'"curtain,' a curtain being something which 'comes-between' two other things. In this case the curtain is Tankerton Slopes, traditionally Common Land (as it still is). A 'ceart' is defined by the Anglo Saxon Dictionary as wild, common land. For those who don't know the area, The Slopes is a 100 foot or-so green-belt between 'dry-land proper,' mainland Kent, and the sea. It's a beautiful, peaceful spot with several cafes, tennis-courts and a tea-garden- peaceful on a nice day, that is- the moods of nature can change very rapidly and unpredictably in these 'edge,' or 'liminal' zones. Such liminal zones- places between two worlds, land and sea in this case, were viewed by our prehistoric (and historic) forbears as 'haunted' or 'dangerous,' to be avoided for most of the time. And because of the presence of The Street, Tankerton was viewed with particular awe, with particular dread. Actually, it still is- to those who've been here long enough to know its sinister reputation. In my own lifetime the powerful currents that sometimes rip along the edges of The Street have claimed the lives of many a strong swimmer or fisherman; its reputation as a taker of lives remains with us, hence the presence these days of a trained and well-equiped life-guard on the beach. 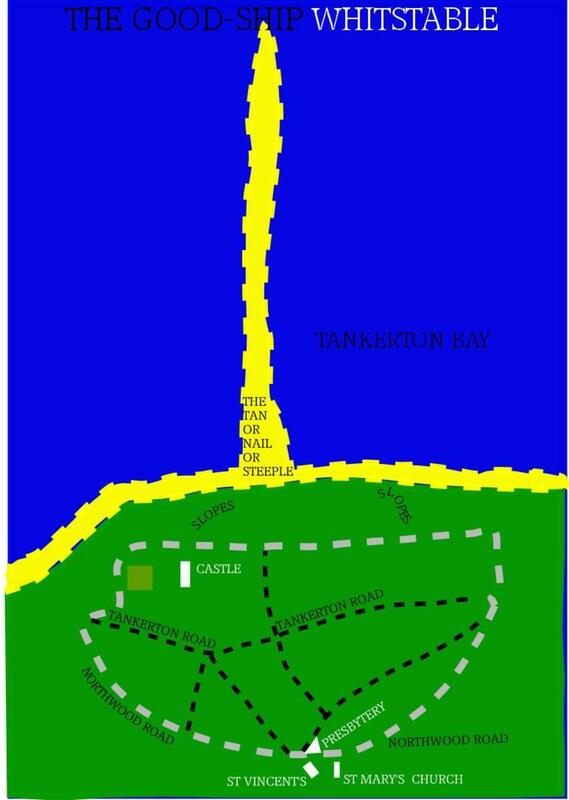 But it's the first syllable of the place-name Tankerton that reveals most about The Street- "tan," for in the tongue of the ancestors (Anglo-Saxon), tan was the word for a divining-rod or a magic-wand! 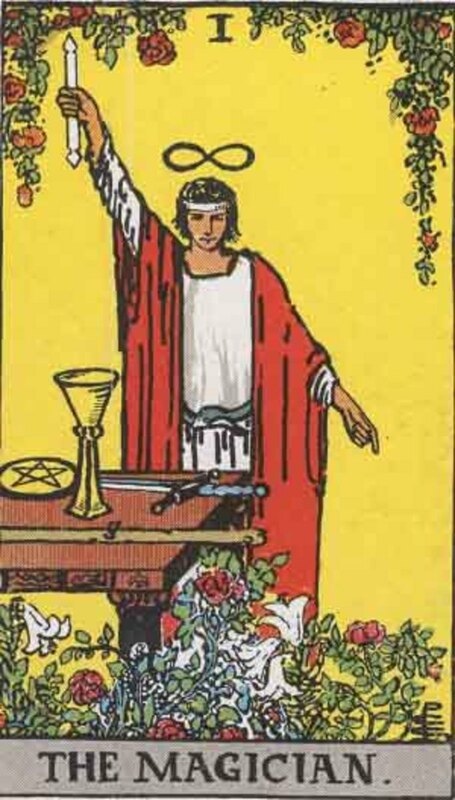 A divining-rod is an implement that 'tunes-into' the environment, goes into resonance with it and the person (the operator) who holds it in his/her hands. 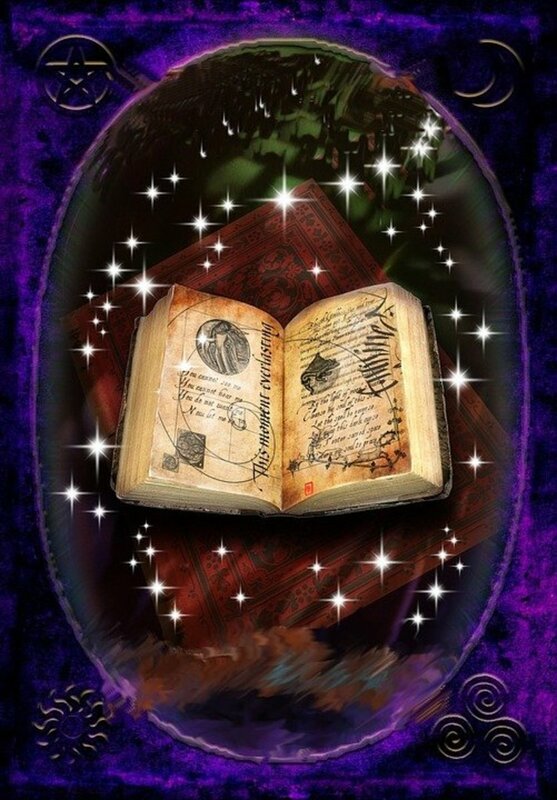 A magic wand may be thought of in the same way. The Street is then, in my opinion, formed and maintained by the natural resonant-forces of the seven-mile harmonic-frequency inherent in the global-harmonic-grid. It is a visible (and walk-on-able) artefact of the natural vibrational field of the Earth. 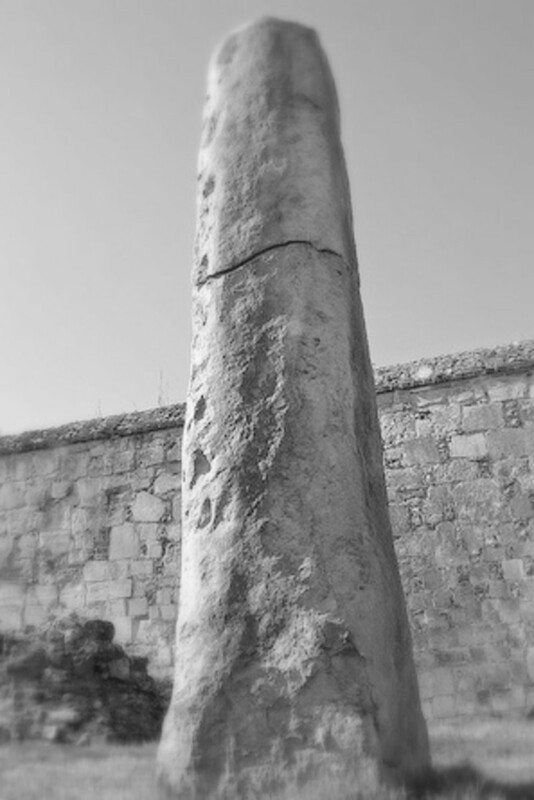 Whitstable is magnetically-north of the trinity of standing-stones in St Augustine's Abbey. North was always the direction associated with 'the gods,' 'the ancestors,' or 'the spirits,' in the three-world scheme of the ancients. In astrology, the first science of mankind, the direction north is assigned to the zodiacal sign cancer the crab, because the Tropic of Cancer marks the most northerly position the Sun travels to on his annual journey. 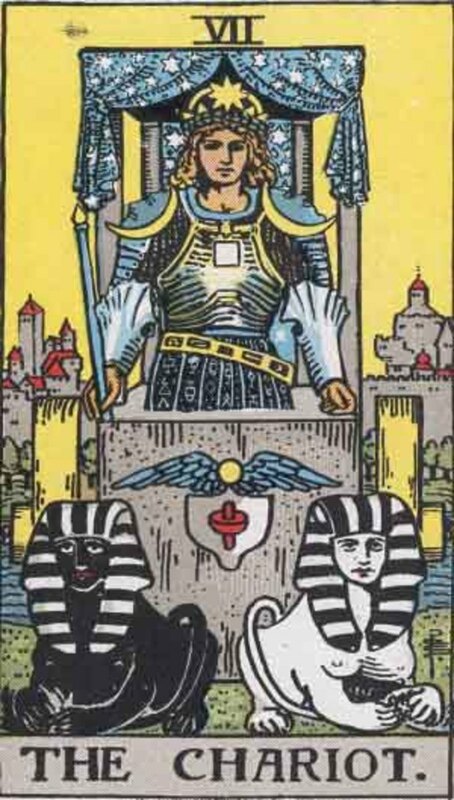 Now it just so happens that the number specifically associated with Cancer the Crab is 7, The Chariot in the Tarot deck. Whitstable is associated with crabs, it can hardly be denied, and it is, as shown, intrinsically associated with the number 7 (forgotten though this knowledge has been). Cancer is the sign of the womb, the tomb, the land itself and... housing; it rules the box and the chest. What has any of this got to do with Whitstable, I hear you ask? Well, It just-so-happens that Whitstable is where the first local authority (Council) houses were constructed- there's a plaque in Station Road to commemorate it- so there's the cancerian association with 'houses' for you. Crabs and housing are associated because the crab carries his house with him wherever he goes. But what of the tomb? What possible association can Whitstable have with tombs? Well... on the way from Canterbury into Whitstable the line drawn on the map passes through seven tumuli (tombs) in Chestfield (the chest). The tumuli are in Clowes Woods, formerly known as Cluse Woods, and in A.S. a 'cluse' was an enclosure, closet or chest. All three of these words were aphorisms for the womb and the tomb because the pre-Christian ancient's believed in resurrection, ie:- the earthen tomb was a womb from which one would be born again- especially if the burial mound was shaped like a swollen belly. Each of the locales listed above are recognised by the experts in this rarefied field as points on the global harmonic-grid, or, in lay-man's terms, ley-markers. There are ancient tracks and paths, wells, crossroads, evergreen trees, standing-stones, churches and chapels, tumuli and an extremely unique land-form- The Street on this alignment. St Mary's is of some interest because it stands on a five-way crossroads at the bottom of a valley or cleft, along with a presbytery and a former 'reform-school,' St Vincents. There are also many evergreen trees (far fewer since the 'great hurricane' of '86) and a former maternity home, St Helier's, and In former times there were three wells here too; wells were believed to be occupied by female water-spirits. 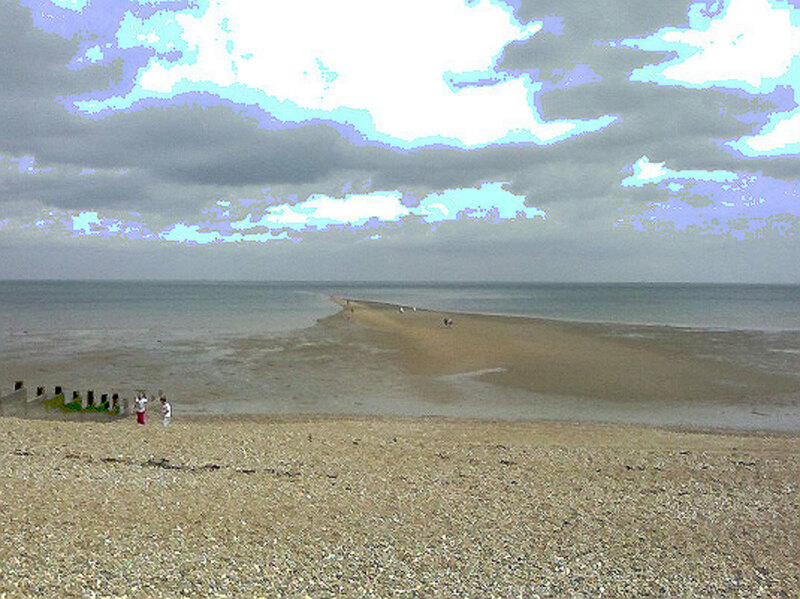 The crescent (see image below) is a feature that is shown on the earliest available map of Whitstable, and was the only path that existed here for many centuries- it can be thought of as a man-made template of the type of energies pulsing through this area- markedly female, lunar and 'of the sea.' It is the keel of a ship and The Castle is the fo'csle (fore-castle)- The Street is its mast-pole, its power-source. And who was the master of this ship- who's hand was on the wheel of the good-ship-Whitstable? Well, that would be Master Free-Mason Wynn Ellis, re-modeller of Tower House into The Castle, whose pyramidal mausoleum- a miniature model of the universe on the 'box' theme- stands in All Saints Churchyard directly on the alignment. The wells and the lunar-crescent, the crossroads and the valley are considered female- the ship itself is a motif of the womb and the tomb- both are vehicles (ships) in which we travel between the worlds. The maternity home, where most of my family and a large number of the local population were born, is also, obviously, a feminine vibration, many natives reading this will be intrigued, I'm sure, to discover that they were born on such a powerfully harmonic spot on this super-charged ley. It can't be a bad thing. St Mary's, the name of the convent, school and church, was probably the actual location of the shrine (there would undoubtedly have been one) to the three-fold goddess, the female power, Isis,Brigid, Artemis, Persephone, Demeter, Hecate or Diana. On the top of the bell-tower of St Mary's is a cross-of-St Brigid- originally weaved by the saintly lass out of rushes. But more of Brigid later- it's enough to know for now that the current St Brigid, patron saint of Ireland, superseded the'pagan Brigantia, Brigit, Bride, and was (in England at least) herself superseded by the present lady of the miraculous conception and queen of heaven, Mary. The name Whitstable (orig' Witenstapel and variants) is itself a pointer- in several ways- to the feminine- a 'staple' is one of those essential things to sustain life: flour, milk, oats, barley, salt etc- a 'white-staple' then is 'the milk that flows from the breast of the mother,' and given that we're right next door to the parish of Seasalter we can assume the 'staple' in question is salt. Salt is seen, occultly as belonging to or signifying the moon- it's white and sparkly for one thing, and comes from the the sea, for another. The moon herself was imaged as a cosmic salt-crystal which, over the course of a month, forms like a very-large salt-crystal in the deep-waters of space; and waning away she is salt dissolving. The sea of course is a female element whose pulse- the tides- are controlled by the moon, whose number is 13 (there are 13 lunations, or moons a year)- this clearly relates to The Street because it is uncovered and covered every 13 hours. On the subject of salt- green salt, to be precise- right at the foot of the distinctly male Street there was, until about a century ago, a green-vitriol or copperas production plant. 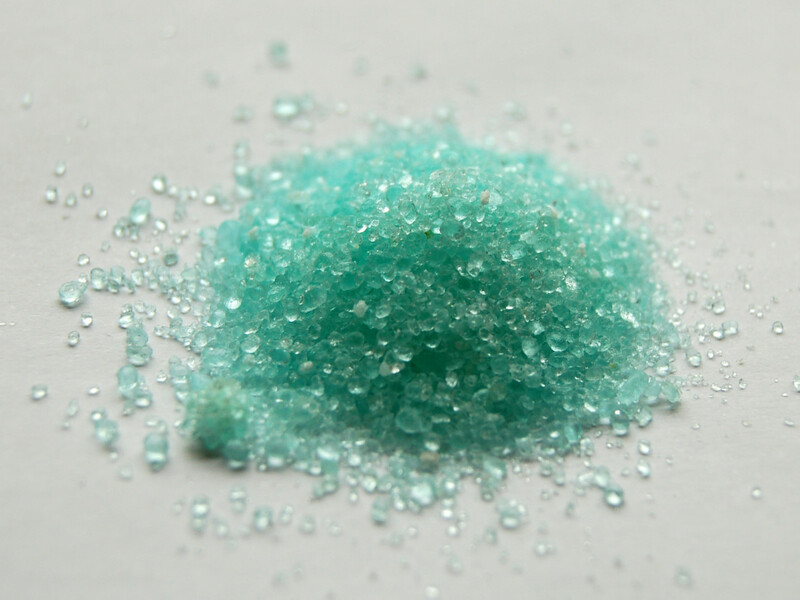 Green vitriol is known today as iron-sulfate, a hepta-hydrate. Hepta means seven and vitriol is a seven-lettered alchemical acrostic used by the ancients to memorise an essential dictum of their royal-art:: V.I.T.R.I.O.L. stands for Visitam Interiore Terras Rectificatur Invenias Occultum Lapidum (Visit the interior of the earth, that by rectifying you will find the occult stone). Anyhow, green-vitriol was crystallised out of the naturally occurring rocks and sea-water from the edges of The Street- at the foot of The Street, in a time-consuming process of evaporation and condensation- essentially an alchemical operation carried out in a giant retort (a tank?) at the root of a gigantic magic-wand! 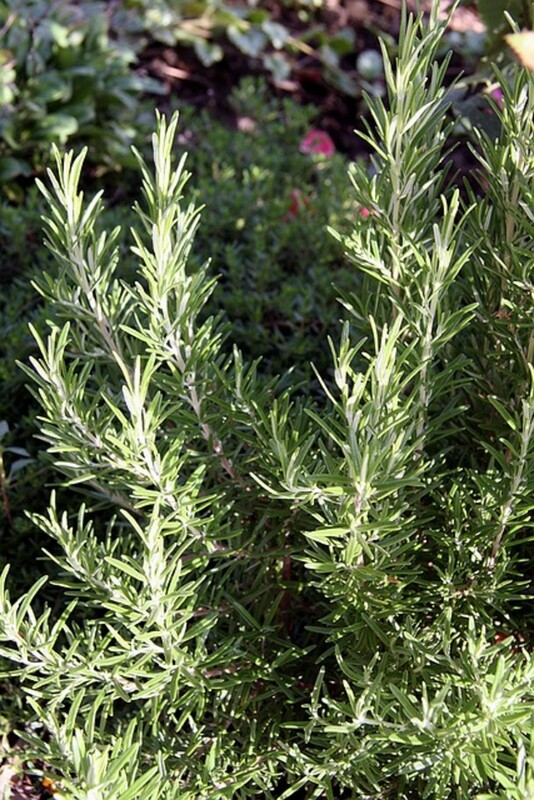 And this leads us to a second, over-lapping and inter-leaved meaning of the name Tankerton- for not only is a “tan” a magic wand, but it also signifies the art of the tanner- 'to dye,' for green vitriol was used in the cloth-dying process as a mordant, or colour-fixer. To we moderns such a process as colouring cloth has lost all of its 'magical-meaning,' it's not something most of us have to think about, our clothes and furnishings come with colour and- for the most part- keep it for as long as we keep the cloth. But for our ancestors- this was an impressive, powerful magic! 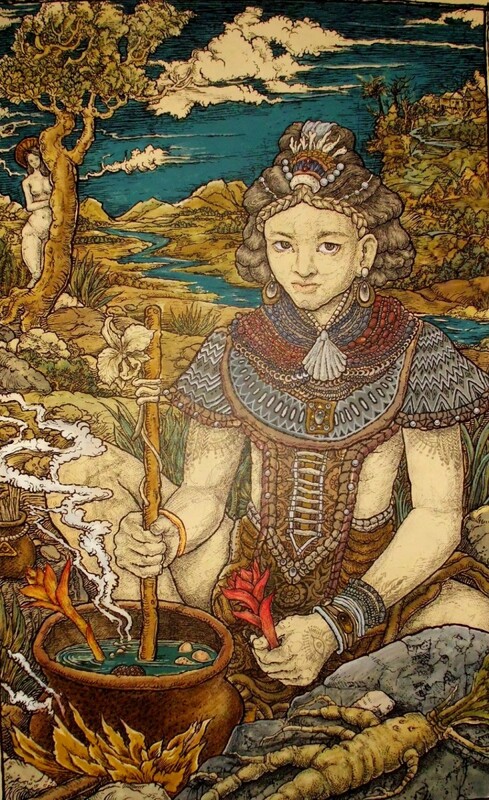 He (or she) who knew the secret of permanently colouring cloth was considered a wizard, or witch- for they were- in the magical mind-set of the ancients- likely to also possess the secret of immortality. The law of analogy told them (as it tells me and you) that loss-of-colour was not a good thing for clothing, and neither was it a good thing for a living entity. If you could 'fix-the-colour' in a skein of cloth you would probably also know how to 'fix-the-colour' in aunty Mabel, before she got any worse. Haven't we all heard of the philosopher's stone- that elixir of eternal-life which wizards and witches knew how to create from sea-water and rocks? Other toponomers have understood the place-name Whitstable to mean that 'Witen-staple' signified a place where the local witan- a council of wise-elders, would gather to discuss important local-affairs. This is not ruled out in any way by the previous interpretations- the ancients liked to make a plait with their place-names, combining three distinct, yet related themes. This is because they believed in three interpenetrating worlds, what we would call heaven, earth and hell. The second part of the town name- “staple,” as well as the above meaning of essential vitales, is the origin of several other modern words- all related. A 'staple' is a nail- and the source of the word for a pointed 'church-tower,' a steeple- denoting the sacred nature of The Street, or road-of-the-spirits. This is interesting because it is iron-sulfate that was extracted from the minerals on the shore-line- the staple- or nail- just happens, coincidentally of course, to be full of iron! Iron is a little on the... er, magnetic side, if you know what I mean- and so this iron-nail can also be thought of- if you like- as a gi-normous compass needle which points, unerringly, to the north-magnetic-pole! To sign off this part-one of The Power Of Whitstable I'd like to leave you with at-least ONE believable explanation for the origins of The Street. 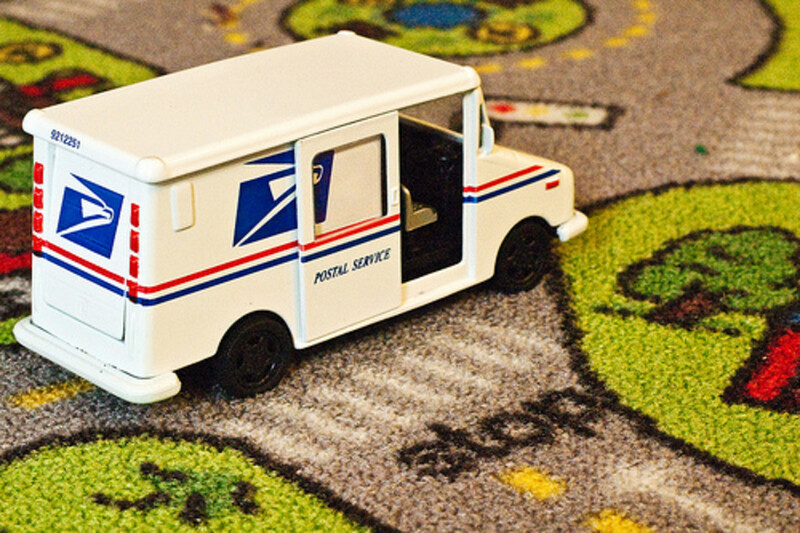 There's an old-wives tale concerning The Street, or Staple. According to the old-wives in question, Canterbury Cathedral once had a steeple, but old-nick didn't approve of the design (apparently he's got a thing about ecclesiastic establishments). So in a fit of demonic pique he ripped it right off the roof and 'scattered-it' into the sea. So now you know as much as the old-wives- and me. I think that this tale suggests that in the minds of the ancients- including the old-wives- The Street had some kind of association with God (the steeple) AND the devil! Or shall we say the opposing, dual forces of light and dark, life and death, land and sea, fire and water, above and below, yin and yang, male and female? 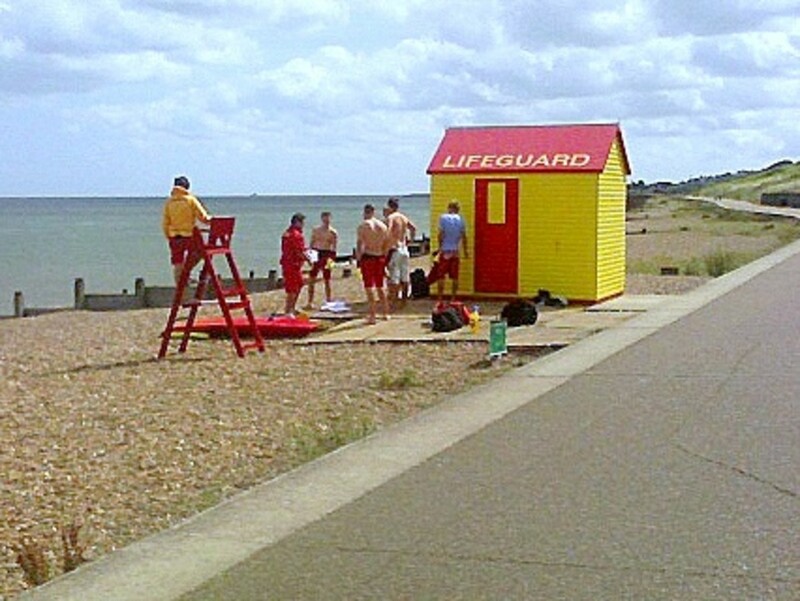 Why is the Seaside Town of Whitstable so Popular? Standing Brooms: Can Planetary / Planet Alignments Make Brooms Stand By Themselves By Gravitational Pull? It's never too late to discover something new, and knowledge is timeless. Thanks for your nice comments - tell your friends about my work, I could always use new readers. I walk from the far end of the Street to the winding-pond and back to the end of the Street again- especially if I'm feeling low. It's like a song-line and something 'good' flows along it. By the end of the walk I am always restored to something approaching happiness and a centred sense of well being. Welcome to our world - it's weird. Thanks for writing something so interesting. I know I'm a few years late but I hope this comment finds you well. 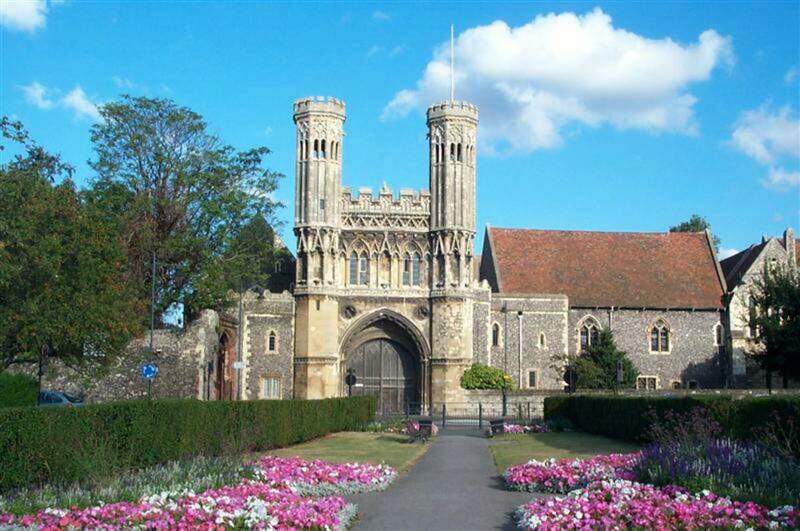 Prior to knowing anything about The Street or ley lines I used to cycle the crab and winkle way from Canterbury and finish by standing out on the end of The Street, immersed in good feelings. Somehow that ride is never difficult, it feels like I'm always riding with the wind on my back. Well it's given me a lot to think about and I look forward to going to The Street again with this new (to me) yet ancient knowledge. Fabulous history and writing! I wish we had history in the U.S. like Britain (well, it's different). I have had the urge to visit England for some time now, particularly the area you describe, since my ancestors were from Boughton under Blean and there abouts. Fascinating. I'm catching up on reading your writings and have just ordered your book, 'The Humanoid Landscape' from Amazon. I really enjoy your writing style and content. You can't have a crescent moon visible for at least 4 hours either side of sidereal midnight,so as you say, Dead of Night is subjective. Thanks Old Firm, nice to meet you. About the magnetic north thing.... I've researched this a little and although the magnetic point does move and has done so historically, as you say in a roughly circular motion, that motion is centred on and goes around this alignment. The distance 'off true' in terms of geographic miles hardly matters really - if you have a powerful magnetic pull - a magnet - and swing it slightly left and right, the magnetic force-lines will still flow along their usual channels, if you see what I mean? A lot of that magnetic-pole's motion is also directly along the plane of this alignment so actually stays directly aligned despite the geographic motion. Another thing.... apparently The Street has historically actually moved slightly east - then returned slightly west again - the process has gone on through unrecorded time and I believe that if records were available we'd find that that motion mirrors the magnetic pole's jiggling. Hope that's cleared that up? And it depends what 'dead of night' means to each individual, doesn't it? I've been under many crescent moons at what I consider to be dead of night. Thanks for your comments though. Hope you enjoy the rest of the series. Fantastic Hub! fantastic reading this ! I just came across this Hub after your prompt in Friends, about two years after my mates raulwus, Bard, Amanda et al. A great read, I'll have a look at the others later. A couple of small points: magnetic north isn't fixed, it currently is moving in a slow circular path up somewhere in the wilds of Canada I think, I can't be bothered Googling where, so it's direction alters by a bit of a degree each year compared with true north.That the Tan was exactly magnetic north when you checked it is likely to be coincidental. Alignments of antiquity were astronomical I believe, so would be true bearings. a great hub and thnks for sharing. Will now be looking out for more of yours to read. Wow! I gave this an "awesome". What an incredible piece! I checked it out as I had just seen a small piece on Ley lines on the TV last night. Thanks for the enighenment. hi joe the line from the street runs through the place i was born st hells and past where i live now and for ever. I love that Digi' sound..... there is something nonsensically tune-worthy about that particular song-Line. Whitstable where it is at, every square centimetre ( inches) of England steeped with history. It is a magical place but another magical place is in Tiverton Nova Scotia Canada which is also a rich fishing harbour. Dear Joe Oaks, printed out..just love your point of view. I shall now make available"Path of the Pagans" which is, as u know, on same thesis of leyline between Street & St Augustines. We started at same time with same objective. This is so much fun! Well done! Love Shera! A great hub with lots of fascinating and cogent material. Very thought-provoking. Absolutely loved reading it. Kind regards, Kev. Just discovered this! Fascinating stuff! Really enjoyed it. I found this information really interesting. Thanks for putting it together so well. Fascinating! I was a frequent visitor to Whitstable as a child, because my grandparents lived at Westgate, and holidays were often spent exploring the little coastal towns round and about. 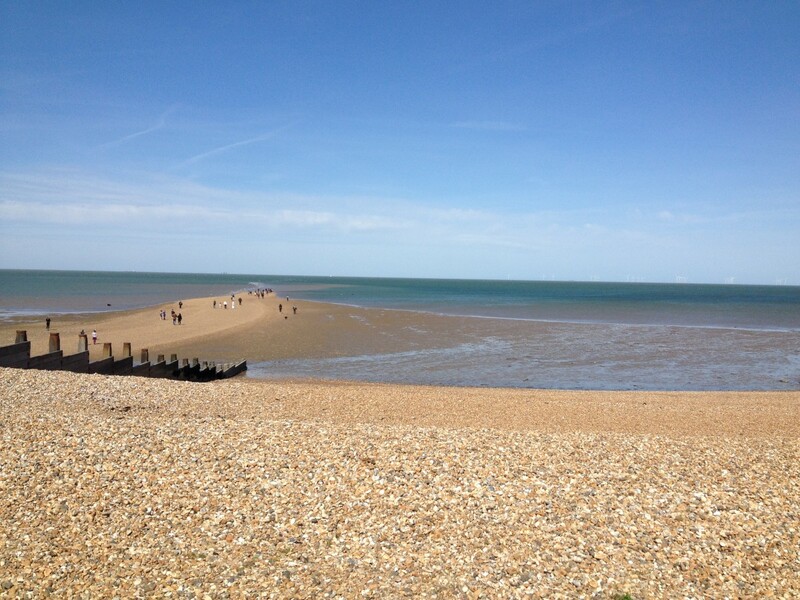 I remember Whitstable with particular affection, especially the sea-front. This hub is absolutely great. Really well written, and totally engaging. I'm off now to read some of the follow-ups! Hi bard, thanks for that comment. It was intended as a book but I got side-tracked with another book. The other book is better than this, I'm going to eventually start to blog about the other book but not yet. Chris never mentioned this stuff because this stuff is totally unknown- all my own discovery. The people of Whitstable are gobsmacked, no exaggeration. I'm using this as a 'spratt to catch a mackerel,' as you say. but it is quite some spratt! Cheers! Brilliant hub! This could be/should be a book! Chris has never told me all this about Whitstable. It is clearly a very magical location to live! Right back at ya! Enjoy!!! I reckon this network of alignments goes right round the globe so it wouldn't surprise me. Would love to know if Ibiza has one of these as i noticed similar feelings on my 3 visits there, still feel the need to go back again for a 4th time. nice one Ed, now that you are aware of the line, every time you cross it or travel along it, the simple act of your awareness of it actually reinforces its energies! It's a two-way process as you will find- it will reinforce your energies in return! Think of all those cyclists who peddle along that line in both directions every day, travelling with the natural flow of the earth forces. I love this planet! I have a great deal of comments to make.. - but I'm just trying to see if this thing works.>!